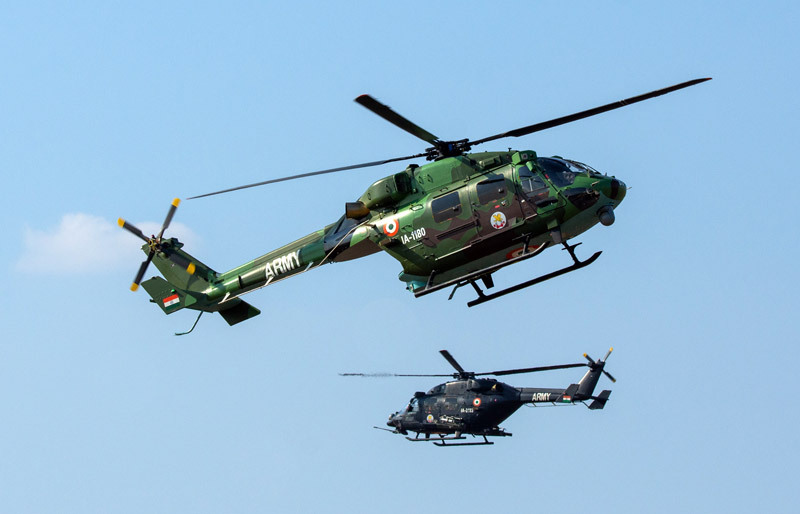 In the hugely popular SP's ShowNews published for the first three days of Aero India 2019, we observed the unique coincidence of the 12th edition of India's biggest air show opening at Yelahanka, Bengaluru, on February 20, amidst all the elements that define India as a military and civil aviation power house: Heightened border tensions triggered by a terrible terrorist attack underlining its hunger for military hardware; the size of its market underscored by the commencement of the $ 3 Billion procurement process for 111 Naval Utility Helicopters; imminence of a $ 2 Billion order for 24 Naval Multi-Role Helicopters and another one for 15 Light Combat Helicopters; momentum to processes to acquire 254 fighter aircraft for the Indian Air Force (IAF) and Navy, and a Final Operational Clearance certification for the indigenous Light Combat Aircraft Tejas; and market estimates pointing to the requirement of 2,300 aircraft in 20 years for the paradoxical civil aviation market which is booming in terms of passenger traffic but also hamstrung by bleeding carriers hobbled by high costs and low fares. Thirty-six years in-the-making, the LCA programme, like nothing else, represents both the failure and frustrations of India's defence industrial complex, as also New Delhi's determination to build up indigenous capability. 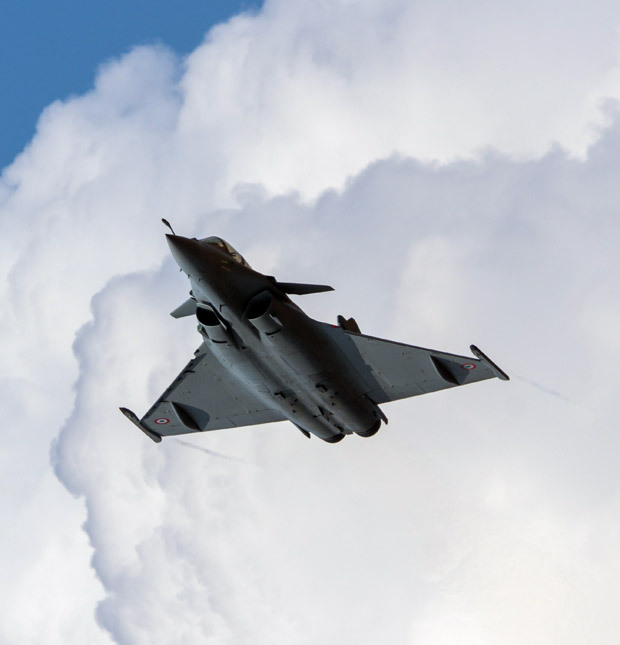 We also pointed towards the veritable minefield of uncertainties around the Indian market, highlighted by the brutal political dogfight over the Rafale fighter deal in the run-up to the high stakes general elections in April-May 2019, India's only aircraft manufacturer declaring that it's broke because the Government isn't paying it dues aggregating over $2 Billion, and the Government struggling to fund its military requirements with budgetary allocations falling way short of even committed liabilities for the IAF and Navy. Amidst the backdrop of all this colour and drama, Aero India 2019 actually got off to a tragic note, with the fatal crash of two Indian Air Force (IAF) Hawk aircraft from the famed Surya Kiran Aerobatics Team after a mid-air collision during rehearsals a day ahead of the opening of the show. Wing Commander Sahil Gandhi, the highly accomplished aerobat piloting one of the aircraft, died in the crash, eerily reminiscent of a fatal accident involving another of the IAF's aerobatic teams, Sarang, in 2007. 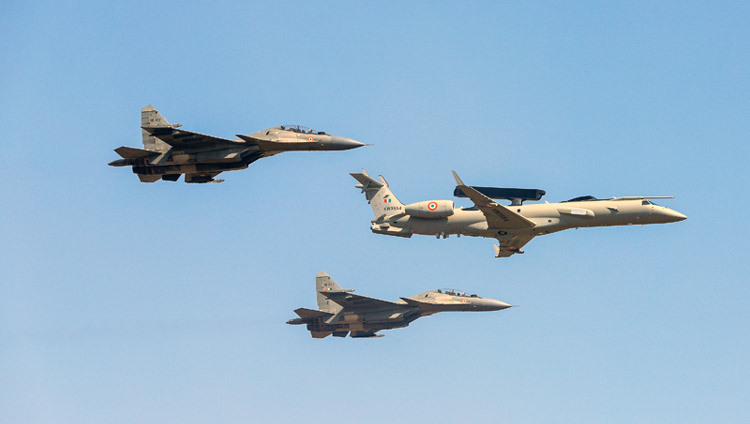 The IAF has lost nine aircraft in just the first three months of 2019. Of these, accidents accounted for eight crashes, including a suspected fratricidical shooting of a Mi-17 helicopter by air defence batteries in Kashmir at the time of a tense aerial confrontation with the Pakistan Air Force close to the Line of Control in which both sides lost a jet fighter each. The spike in accidents at a time of acute shortages and budgetary constraints is a sombre reflection point for the IAF leadership. The American Industrial participation at Aero India was lifted by the presence of the iconic B-52 bomber in the Inaugural flypast. 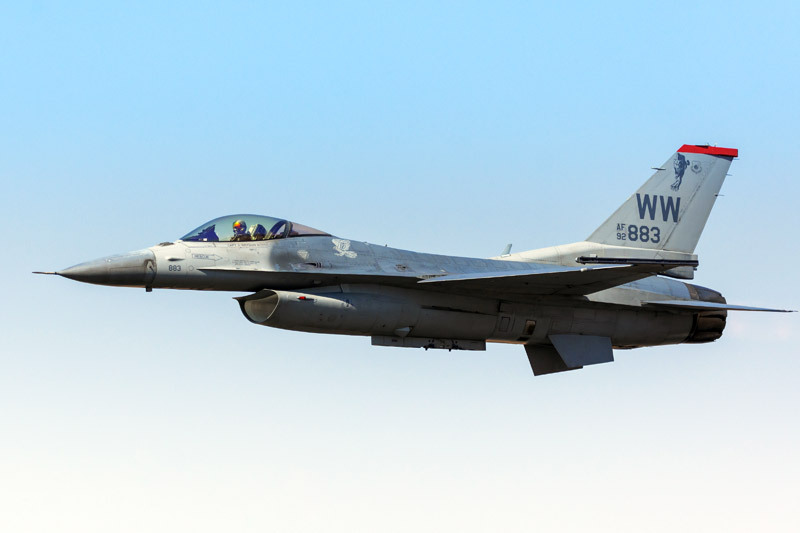 This aircraft flew from Guam and landed at Diego Garcia, flying over Yelahanka en route in a perfectly coordinated marathon sortie, which was a telling display of the military capability and reach which the US brings to the table. 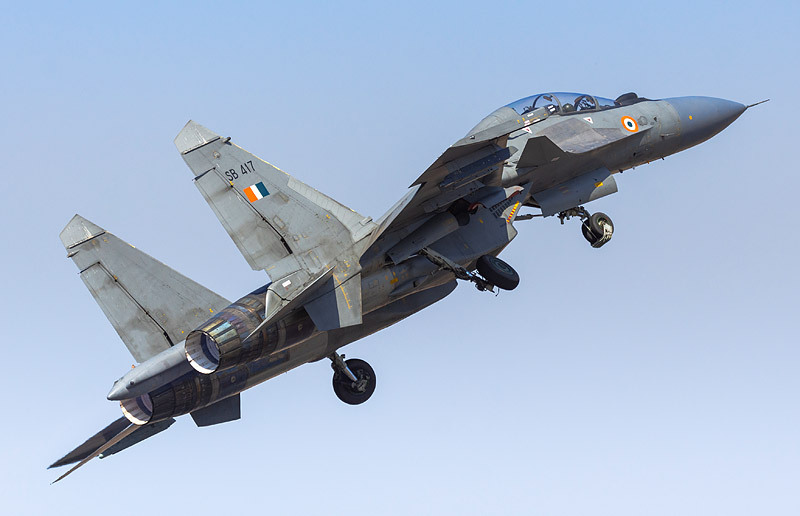 If one were to pick up a highlight of the show, it was the declaration of the Final Operational Clearance (FOC) for India's indigenous Tejas Light Combat Aircraft (LCA). Thirty-six years in-the-making, the LCA programme, like nothing else, represents both the failure and frustrations of India's defence industrial complex, as also New Delhi's determination to build up indigenous capability. 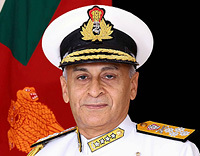 On Day 1, the Chief of Air Staff, Air Chief Marshal BS Dhanoa and Defence Secretary Sanjay Mitra stood shoulder-to-shoulder with India's Defence research establishment and HAL honchos at the FOC ceremony to show support for the dogged Indian effort, which is still work in progress, even in its coming of age moment. For close to two decades, the Tejas has exercised a self-effacing presence, lurking in the shadows of the world's iconic fighter aircraft at Aero India. In 2019, its developers and manufacturer finally showed the confidence for the showmanship associated with strutting your wares at an air show. For the first time, it was the Tejas which hogged the headlines for celebrity flights, first with the Indian Army Chief General Bipin Rawat, followed up by a high voltage endorsement by Olympic medallist PV Sindhu. Although there was a footnote to the FOC which indicated that it was an interim one, it meant that the fighter is now more combat capable. It also cleared the decks the production of the next lot of 16 single cockpit Tejas fighters for the IAF. It also meant that the building blocks for making fighter aircraft are finally there. What left observers a little disoriented was the haze of contradictory statistics which flew thick and fast at the show. Secretary Defence Production Dr Ajay Kumar put the number of participating companies at about 800. But the count on the Aero India website was 403. 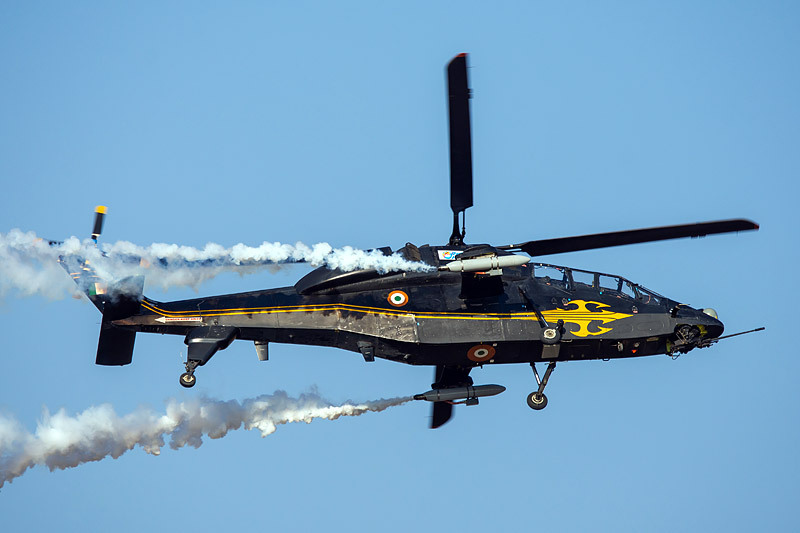 In their anxiety to pitch it as the largest edition of Aero India so far, the organisers overlooked the fact that a much larger participation was recorded in the 2015 and 2017 editions (825 & 758 respectively). The Tejas manufacturer, HAL also showed confidence and a go-getting attitude like it hasn't in a long time. Keen to shed the tag of a laggard which can never meet production deadlines, chairman and managing director R Madhavan declared that the production capacity for the Tejas could now be ramped up to 24 a year because of the maturing industrial eco-system. 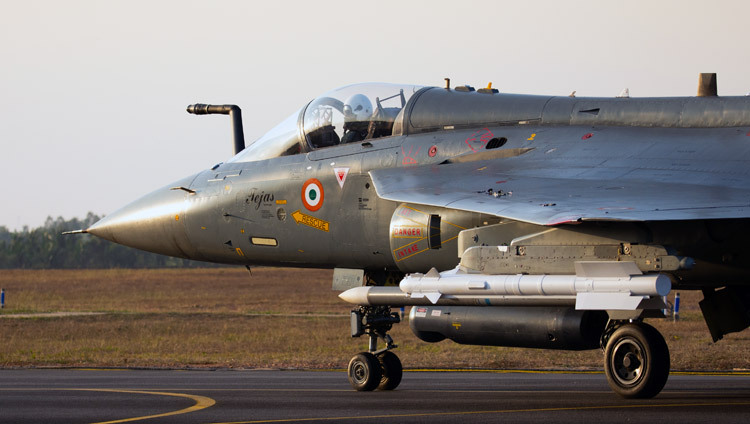 He manoeuvred to get a missile lock on the next order for 83 Tejas fighters in the Mark 1A variant. The HAL leadership showed fight and hunger to get new orders, and to preserve its pre-eminence as India's No. 1 aerospace manufacturer in the face of emerging competition. Discarding his earlier despondency over the future of HAL on account of a cash crunch, Madhavan announced that HAL is expecting an additional order of one squadron of 20 frontline Sukhoi-30 MKI fighters to keep its fighter production lines going till it starts manufacturing 83 Light Combat Aircraft Tejas Mark 1A fighters by 2023. The HAL brass also presented what sounded like a fait accompli to the Government over the choice of Strategic Partner for making India's next multi-role fighters, which will be produced in India by a non-public sector entity chosen through a competitive process, in collaboration with a foreign OEM. Not wanting to vacate space, the Public Sector behemoth has already entered into a tripartite JV with Boeing and Mahindra to offer the F-A/18 Super Hornet. "Who other than HAL can provide the indigenous content?" was the poser by HAL, so far a monopoly. The play with statistics was mildly startling. Some glitches were embarrassing. The fatal crash cast a pall of gloom ahead of the show. But the one thing the 12th edition of India's premier air show will never be able to live down is the fire in a car park, which, on Day 4, destroyed about 300 vehicles. The apparent cause of this fire was a spark in dry grass. Apparently, someone forgot to have the dry grass cut and removed. And for a show which seeks to get the world interested in India's rise as an aerospace power, this was a bad blow, indeed. Leading global OEMs were aligning themselves to the Make in India agenda. HAL's partner Boeing offered the latest, under-development Block-III variant of the F/A-18 Super Hornet with the promise to build an industrial eco-system while delivering the deal which would pave the way for India building its fifth generation Advanced Multi-role Combat Aircraft (AMCA). 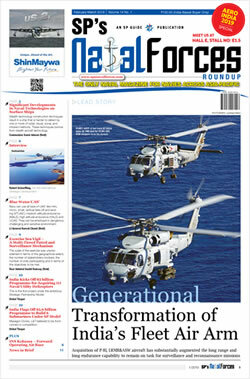 The 'Path to AMCA' pitch for the Super Hornet by Boeing Defence's Vice-President International Sales Thom Breckenridge involves the "transformational" promise of building up a 'Factory of the Future' and not just shift an existing production line to India, backed up by a supply chain from which Boeing is already sourcing components worth $1 Billion annually. The competitive reference, clearly, was to its great rival, Lockheed Martin, which scaled up its pitch with a revamped "F-21" offer, which caught everyone art Aero India by surprise. 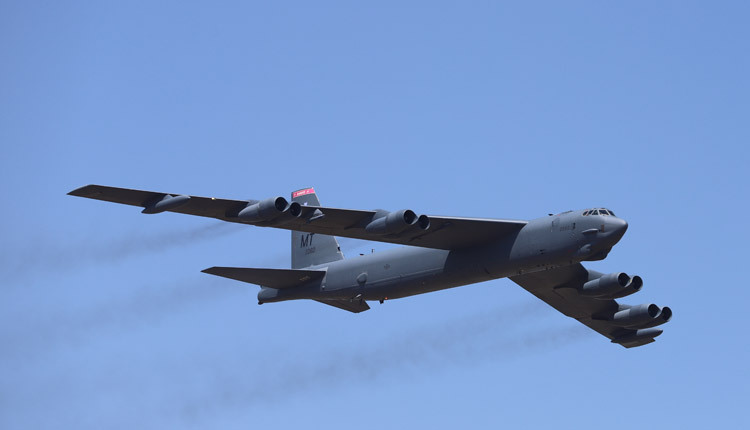 The American Industrial participation at Aero India was lifted by the presence of the iconic B-52 bomber in the Inaugural flypast. 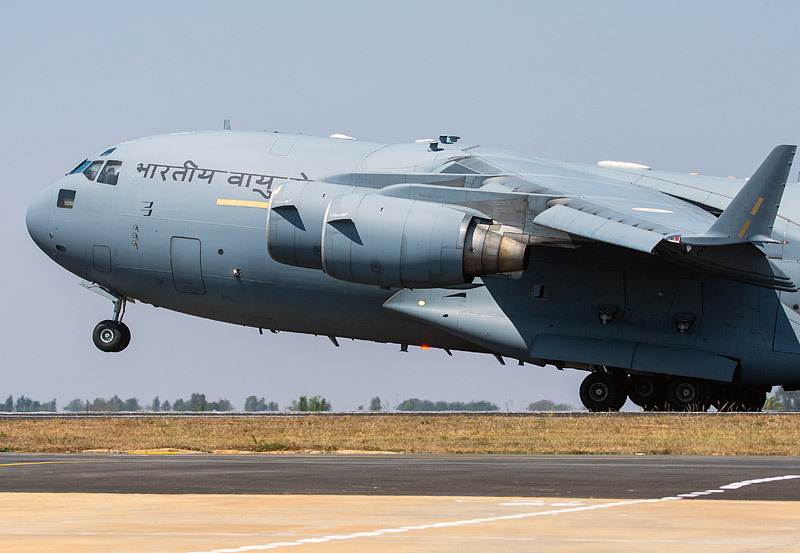 This aircraft flew from Guam and landed at Diego Garcia, flying over Yelahanka en route in a perfectly coordinated marathon sortie, which was a telling display of the military capability and reach which the US brings to the table as a defence partner. The Russian presence at the show was perhaps its most persuasive ever, and at the heart of its pitch was the MiG-35. From a video wall to hoardings, advertisements, seeking to media and calling on Indian manufacturers at the show to explore partnerships, this was a marked change to the hitherto reserved Russian style. In Western style pitches, Rostec and Rosboronexport boated of a highly successful 2018 in the Indian market during which they bagged orders worth $10 Billion, despite the threat of US sanctions (CAATSA). "Russia is a country that has been supporting Make in India from the word go. 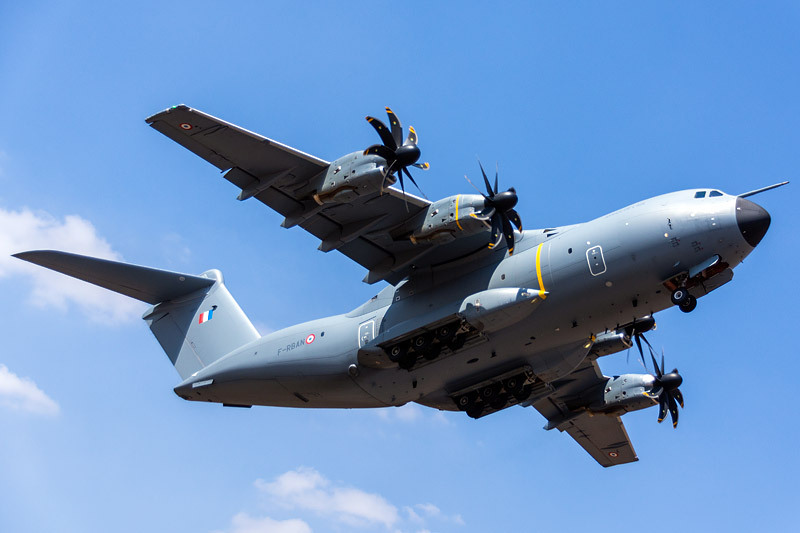 We are bringing to Aero India 2019 more than 200 pieces of equipment for civil and military use. It may well be that some of them will eventually be manufactured in India," said Victor Kladov, Rostec's Director for International Cooperation. Indeed, all major OEMs put their best foot forward in being seen as nurturing their partners and supply chain in India. The Russians were prospecting the market for partners for the Ka-226 helicopter project, and signing MoUs. The Israelis showed off their Indian partners, for products ranging from software-designed radios to bombs and UAVs. 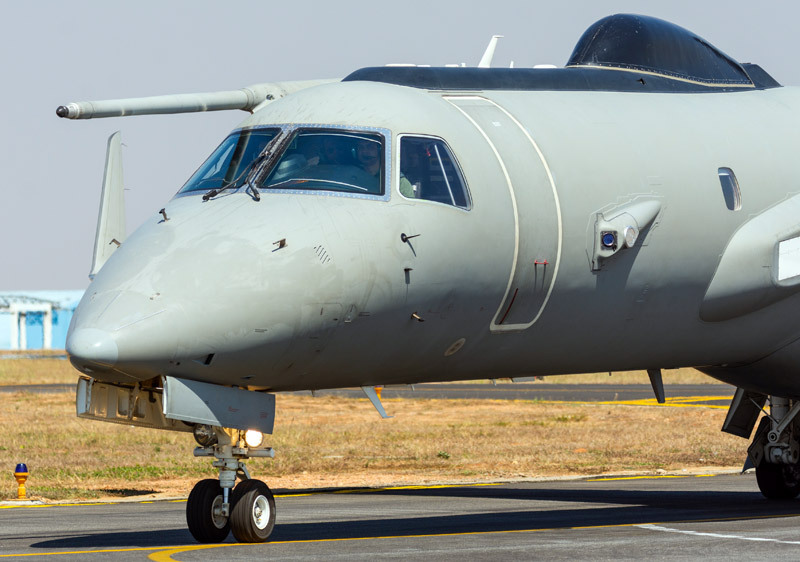 Critical weaponry such as that validated in the path-breaking Balakot air strike recently - Spice 2000 smart bombs and Litening targetting pods - are being made by Indian partners of Israeli OEMs (reported in SP's Aviation). A very visible change was in the exhibiting profile of Private Sector Indian companies, which had a major presence, unlike earlier when foreign OEMs defined the flavour of Aero India. This was a clear reflection in the changing complexion of the Indian arms bazaar, where the rules of the game now favour the local element. Whether it was Tata or L&T, Bharat Forge, Adani or Alpha Design, Indian companies appeared coming into their own. The Public Sector, led by HAL which was also the show organiser for the first time, kept up its traditionally heavy presence. 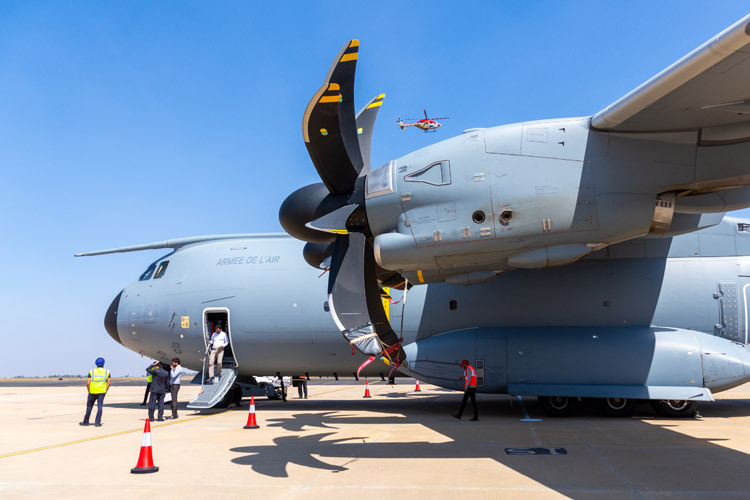 Online booking of space and purchase of entry tickets, mobile phone Apps to navigate through the show and cleaner facilities were among the visible improvements at Aero India 2019. New features like the Drone Olympics (see separate report) and focused seminars were a big draw. All the days at the show were labeled thematically. The spotlight on Women in Aerospace also generated good traction. 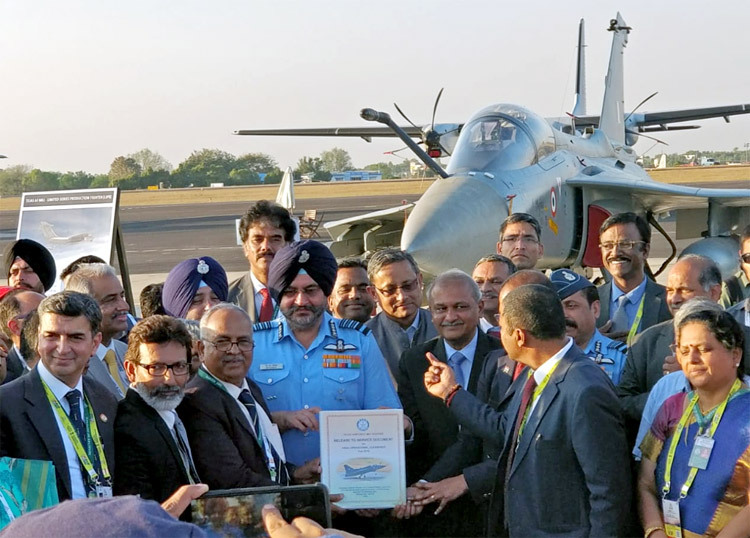 Continuing the traditions of recent firsts in aeronautics, Aero India 2019 witnessed a barrage of kickoffs especially with the women of the field. Ahead of the international women's day on March 8, the show witnessed it's very own "Women's Day" on day four to showcase the achievements of women in aerospace and aviation sector. The first of its kind even saw several activities around these 'Queens of the Sky'. Apart from the felicitation of women achievers from the IAF, Navy, Army, Civil Aviation, DRDO, CSIR and ISRO during the women's Aero India day, a book as well as a film on 'Women in Aviation' was also released on the occasion. The lady officers from the aerospace sector also shared their journeys and experiences during a seminar. The Hawk-I advanced jet trainer and an upgraded version of the MiG-21 were piloted by all women crew on the day, along with Dornier-228. The Air Traffic Control (ATC) of the Yelahanka air base during Aero India's Women's Day was also manned by four female officers. 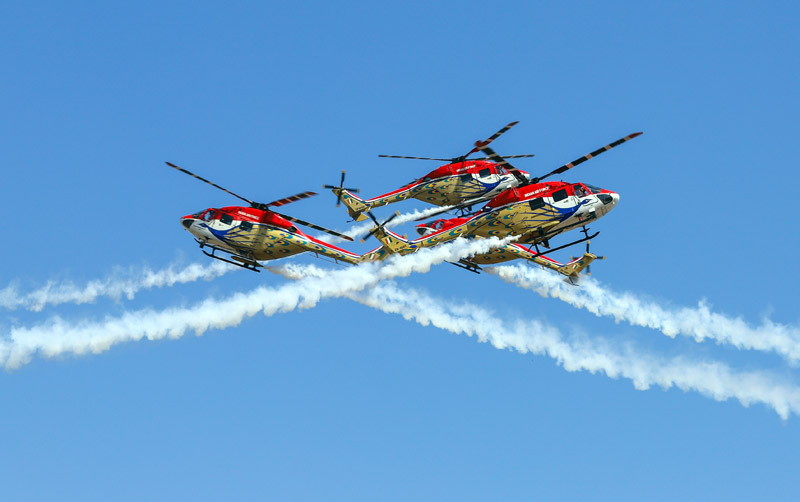 The Indian aerobatic team, Sarang too included one chopper aviated by a woman. For the first time, a team of women paratroopers participated in the show, with five of them jumping off a Mi-17 chopper from a height of 4000 feet, gliding back to the air base in a parachute. Ace Indian shuttler and Olympic silver-medalist, P.V. Sindhu took a flight in Hindustan Aeronautics Limited's (HAL's) Light Combat Aircraft (LCA), Tejas, becoming the first woman to have co-piloted the aircraft. What left observers a little disoriented was the haze of contradictory statistics which flew thick and fast at the show. Secretary Defence Production Dr Ajay Kumar put the number of participating companies at about 800. But the count on the Aero India website was 403. 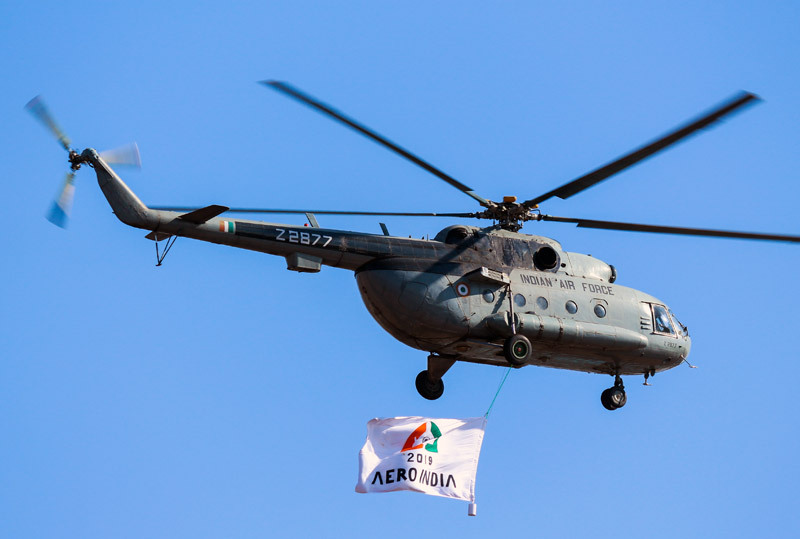 In their anxiety to pitch it as the largest edition of Aero India so far, the organisers overlooked the fact that a much larger participation was recorded in the 2015 and 2017 editions (825 & 758 respectively). Questioned about the curious statistics, Secretary Kumar replied, "These are the figures we have now." Again, in her Inaugural address, Defence Minister Nirmala Sitharaman put the aggregate number of aircraft to have been manufactured in India so far at a staggering 4,000. 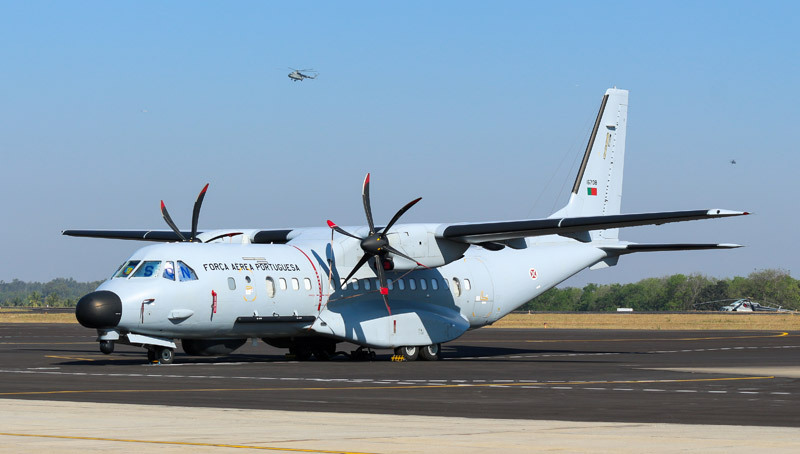 She went on to list the Airbus C-295 among the aircraft which have been made in India. The contract for this aircraft has not yet been signed. The play with statistics was mildly startling. Some glitches were embarrassing. The fatal crash cast a pall of gloom ahead of the show. But the one thing the 12th edition of India's premier airs how will never be able to live down is the fire in a car park, which, on Day 4, destroyed about 300 vehicles. The apparent cause of this fire was a spark in dry grass. Apparently, someone forgot to have the dry grass cut and removed. And for a show which seeks to get the world interested in India's rise as an aerospace power, this was a bad blow, indeed.